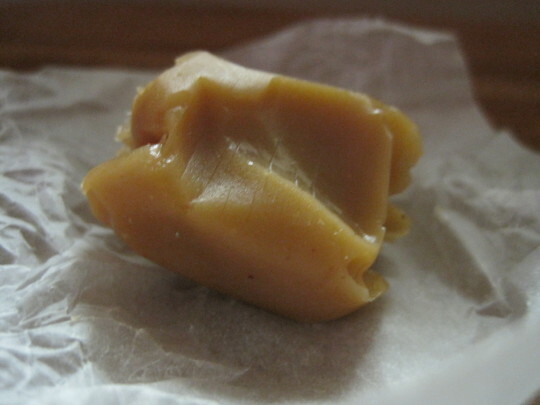 What do you get when you replace butter with lard in a caramel? 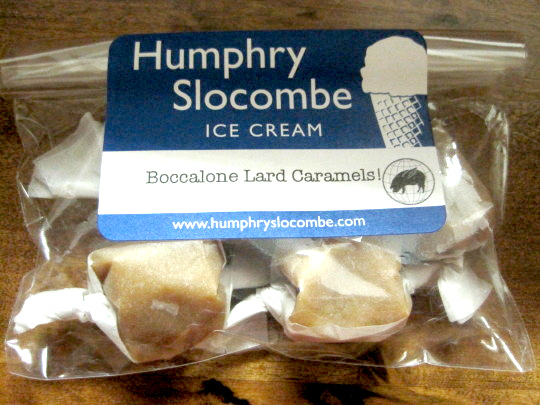 Humphry Slocombe Boccolone lard caramels, an unlikely marriage of pork byproduct and candy, offering melty, meaty sweetness that blows the mind. So decadent, Chris Cosentino recommends you enjoy them in private, “so not everyone sees your ‘Oh’ face.” We’d have to agree. 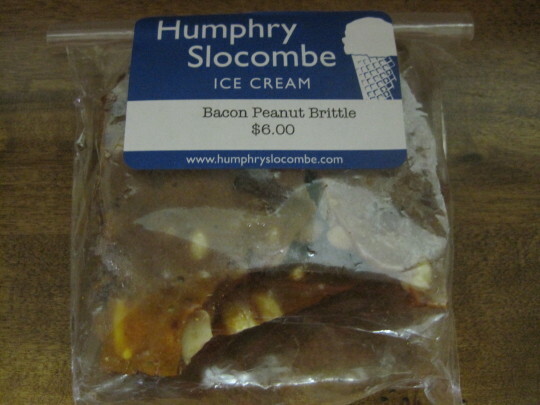 Cosentino, salted pig-part maestro at San Francisco restaurant Boccolone Salumeria, teamed up with Jake Godby, founder of the Bay Area Humphry Slocombe ice cream shop, which features mad-science flavors that blur conventions of sweet and salty, to create the candies. 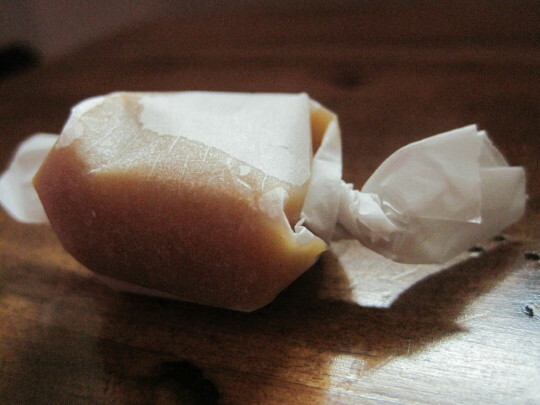 The caramels are sold at both establishments, four pieces for $3.50. Also in Godby’s arsenal at Humphry Slocombe? 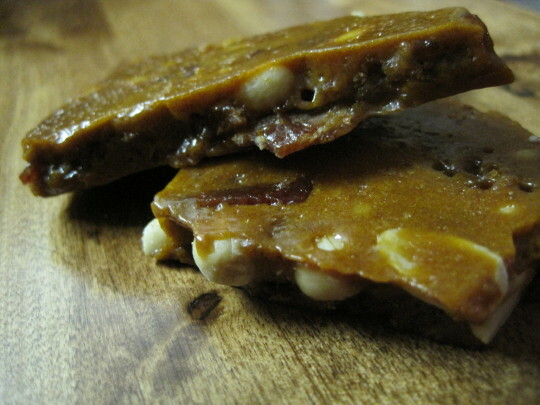 Smokey Bacon Peanut Brittle. 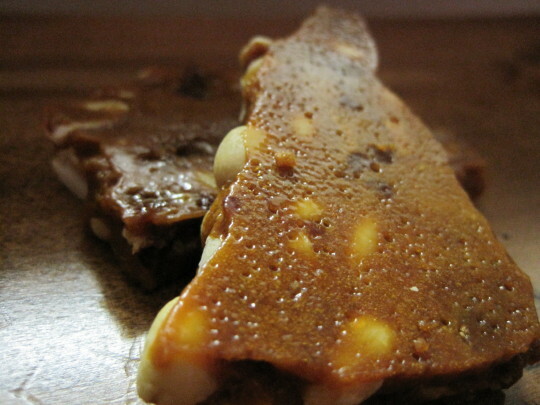 Those lard caramels are delicious. We were at the Ferry Building in early Nov and made a stop to Boccalone. When the clerk suggested, we knew we had to try. Everything mentioned in this post was correct. My only regret was that I didn't buy their entire lot. 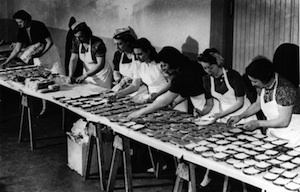 Growing up, I had a friend whose mother used a depression-era recipe for her chocolate chip cookies. In it, chicken fat was used instead of butter or shortening. So I'm no stranger to non-dairy, non-vegetarian cookies. They weren't great. But perhaps the chicken fat was not the problem. Perhaps such a recipe could have been tweaked by a skilled baker into something truly marvelous. I don't know. As it was, they were rather schmaltzy.